Though it doesn’t seem like the kind of film that’s begging for a follow up, a sequel to Ridley Scott’s 2000 sword and sandals epic Gladiator has been rumored for a while now. Ideas for a second outing have been floating around ever since 2009 and while nothing has materialized as of yet, Scott hasn’t given up on it. 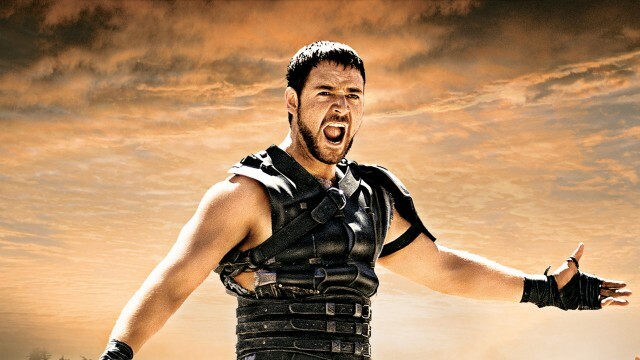 While speaking at the South by Southwest Film Festival this week, Entertainment Weekly quizzed the director on whether or not any progress has been made on Gladiator 2, and while it doesn’t seem like any substantial developments have occurred, Scott revealed that he’s got an idea for the sequel and is trying to get Russell Crowe on board to make it. I know how to bring him back. I was having this talk with the studio — ‘but he’s dead.’ But there is a way of bringing him back. Whether it will happen I don’t know. Gladiator was 2000, so Russell’s changed a little bit. He’s doing something right now but I’m trying to get him back down here. Though it’s encouraging to hear that the director has chatted with the studio already, seeing a sequel materialize doesn’t seem too likely. The original came out nearly 20 years ago, and though sequels have been made after more time than that, we don’t imagine Gladiator 2 is a high priority for anyone right now, even Scott, who’s got his hands full with the Alien franchise at the moment. That sounds pretty out there, and we can’t really imagine it working, but who knows? At this point, we’d just love to see a sequel get made, regardless of what the plot entails. Like we said above, we wouldn’t hold our breath for this to happen, but it’s still reassuring to know that Scott’s interested in a Gladiator 2 and maybe somewhere down the road, he’ll actually get to make it.